How does your personality determine which whisky you like? Planys Mobile, Fife App company, has built a website for The Scotch Malt Whisky Society with a personality test that can help predict which whiskies you might like based on your personality traits. Flavour behaviour - Find the perfect whisky for your personality is part of the Society’s global campaign targeting whisky drinkers on social media in the UK, the United States, Australia and Canada. Dr Adam Moore, a Psychologist and research scientist based at the University of Edinburgh, has designed the psychometric personality test that will analyse your personality and predict the perfect whisky for respondents. The test was also informed by research at Project Flavour Behaviour events which took place in cities worldwide, including Washington, D.C., Vancouver, Melbourne, London and Edinburgh with groups of volunteers who were asked to sample whiskies and answer personality questions. 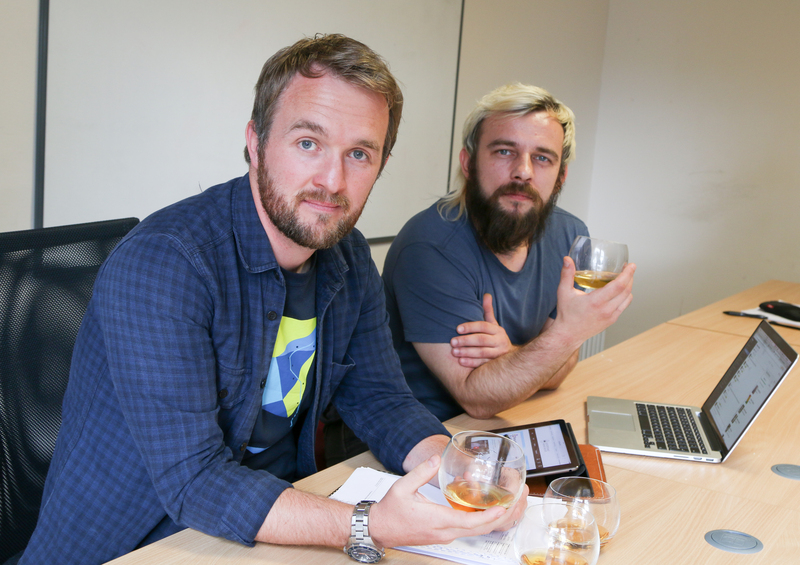 Paul Stewart, Creative Director at Planys Mobile, said: “All of our developers are whisky lovers so building the technology for the Society’s innovative and fun marketing campaign was a great project”. Examples of questions include ‘Which of these film titles best sums up how you feel about the future?’ and personality traits are assessed according to which answer respondents select: It’s a Wonderful Life; Singing in the Rain; Groundhog Day; Titanic or Apocalypse Now. The campaign is designed to raise the awareness of the SMWS, its single cask whisky and its flavour-based approach, including its unique 12 flavour profiles. On a wider level, the campaign will also help more people to discover whisky in a fun, innovative way. Planys Mobile has clients in the UK, United States and Singapore and was shortlisted for the HSBC Scottish Export Awards. The Scottish tech company also develops its own products and invests in joint ventures such as ClickGo, a care management app which won the Google Impact Challenge Award and was shortlisted for The Herald Digital Business Awards.